The new season of Ghost Hunters is all set to resume on the 3rd of March on SciFi channel with Jason Hawes and Grant Wilson along with their team explore the haunting in Alcatraz, San Francisco. 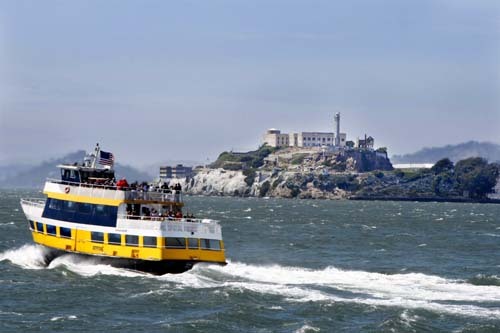 Alcatraz was a federal prison until 1963 but currently is more of a tourist destination. Located on the San Francisco bay it’s a small island often called as “The Rock”. Alcatraz obviously has a disturbing past as there have been many deaths as it was a prison before. I have myself been there on an audio tour and walked those halls just couple of years ago but did not have a clue that it was known for its haunting. So it’s going to be kind of interesting for me to watch this episode. This is probably the first location in Ghost Hunters that I have actually visited so it will be kind of cool. Well not that I saw anything strange while I was there in Alcatraz but will be kind of interesting to see what the GH crew find out.